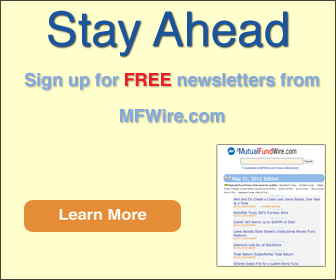 Empower Retirement, Vanguard [profile], and Morningstar were among the big winners last night at a midtown Manhattan awards show for fundsters. Fundsters gathered for the 22nd annual Mutual Fund Industry Awards dinner at the Mandarin Oriental at Columbus Circle in New York City. Winners included a dozen mutual fund shops, plus other industry insiders from law firms, retirement plan providers, broker-dealers, and other players in the mutual fund business. One fundster attendee estimated that 500 people showed up for the black tie event. This is the first MFIA dinner since London-based Pageant Media bought four Institutional Investor publications in the fall. Fund Action and Fund Directions, two of the publications Pageant bought in the deal, organize the MFIA celebration. Vanguard took home two awards. Martha King, head of U.S. financial intermediaries for the low-cost mutual fund titan, was recognized as "fund leader of the year," while Vanguard as a whole was named "retirement leader of the year." A prominent Vanguard alumnus, former chief investment officer Gus Sauter, received one of two lifetime achievement awards. The other went to Stephen Lewis, who spent 12 years as a director for the Columbia Funds [profile], including nearly eight as the chairman of the board. Vanguard wasn't the only 401(k) player lauded last night. Jimmy Owen, senior vice president of the consulting group in LPL's retirement parters group, was named one of 13 "rising stars." And Great-West Financial beat out two other nominees to win "deal of the year" for buying the bulk J.P. Morgan's retirement plan services unit. Great-West merged its own retirement business with that of its mutual fund shop sibling, Putnam [profile]. Combined with the JPM RPS business, the giant retirement plan provider became Empower in the fall. "It's a nice tribute and testament to the Great-West Financial organization and all the people who worked so hard on putting this deal together," Ed Murphy, president of Empower Retirement, tells MFWire. Bob Reynolds, chief of both Putnam and Great-West, stated that the three-way merger and rebranding that created Empower "creates a unique, results-oriented approach with deep, broad-based resources, designed to ultimately help raise the level of retirement preparedness in the United States." Empower has 7.3 million defined contribution participants, serves $435 billion in assets, and works with 401(k)s of all sizes, 403(b)s, 457s, and private-label recordkeeping clients. Morningstar won two awards. The mutual fund ratings titan landed in the "hall of fame," and passive funds research director Ben Johnson was recognized as a "rising star." Marco Adelfio, partner at Goodwin Procter, won independent counsel of the year. 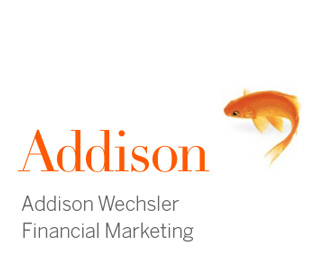 Jason Wolf of Third Avenue Management [profile].